Everyday my Overland Park Chiropractic patients ask me how they should properly lift so they don’t cause back pain. I’m always slightly surprised how often I get this question, so today I wanted to get you all some great tips of proper lifting to avoid back pain. As your leading Overland Park Chiropractor, I know better than most how much one Sunday of helping your friend move has the ability to cause lifelong back pain. 1. Understand the details of what you’re trying to lift as to not cause stress to your back or neck. – Is it too heavy to lift alone? 2. Position yourself correctly to lift the item. – Always look straight ahead, keep your back straight, & keep your feet shoulders-width apart. 3. As you are lifting, remember to bend your knees and lift slowly. 4. Sitting an item down is just as important as lifting it. – Bend your knees, remember keep your back straight and once the item is placed securely on the ground, stand up slowly. – Make sure you are warmed up… stretch before attempting to lift any heavy item. – Make sure you are wearing the proper footwear. – Avoid twisting as much as possible. – Keep the item close to your body. Of course, preventing back strain and pain is optimal, but if you have already experienced an issue while performing any kind of lifting or moving, you should visit your chiropractor in Overland Park or Leawood. 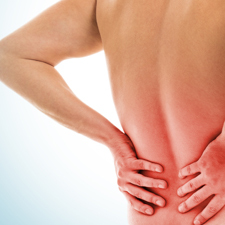 If you don’t have an Overland Park Chiropractor, give me a call: 913-681-7757. My Overland Park Chiropractic office is considered the place for back pain treatment due to our advanced modern chiropractic & electro-acupuncture techniques.